Ankita Saxena is a second year English student at Jesus College, and is president of this year’s Turl Streets Arts Festival, a collaborative effort between the colleges of Turl Street- Exeter, Jesus and Lincoln- to hold an annual festival celebrating and embracing the arts. 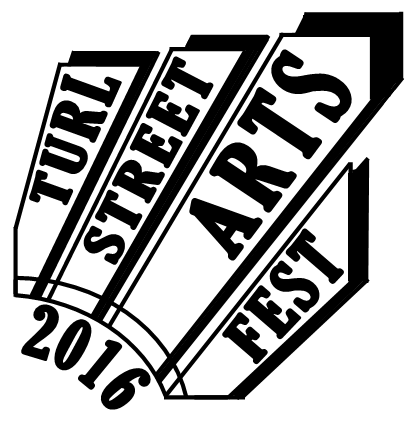 The Turl Street Arts Festival is in its 19th year and this year Ankita tells us things are going to be ‘bigger and better’. Usually a week-long celebration, in 2016 it’s taking place between the 13th to the 21st of February and so promises more time to indulge in all the arts have to offer. Also different this year, is the fact the festival is carrying a theme- ‘Decades’- for the first time ever. Enter the colleges of Turl Street and get swept across the decades. From the Roaring Twenties to the Swinging Sixties, each day in Turl Street is a different era in history. Talking to Ankita, she stresses the audience she wants to attract and who she hopes will be engaged in the festival. ‘The festival looks to reach out to three different kinds of people. Firstly, people who want to make art. The poetry and art collaboration on Saturday of 5th week is a celebration of the work of artists and poets throughout the university’. Ankita herself leads writing workshops for Oxford University Poetry Society, and so is very much central to the art and creative movement in Oxford. Yet it’s not just those with a creative impulse that the festival looks to attract. She also states they hope to engage those who might not be directly involved in art but enjoy to ‘watch and appreciate art’. With regular film screenings (check out Pride at 7:30pm on Thursday of 5th Week, or The Rocky Horror Picture Show at 8pm on Wednesday), and rehearsed readings of Carol Churchill’s Top Girls, if sitting back and appreciating the culture around you, this is for you. Ankita then tells us that even if the arts, music and drama aren’t your usual scene, the festival is still of interest. The ‘Throwback Thursday’ club night at Cellar promises to be a night of music through the decades and you don’t have to be a regular attendee of the exhibitions Modern Art Oxford or life drawing at your college to attend. With most events being free, chances are you don’t even have to have spare change in your pocket to attend. The outreach of the festival is huge. Whoever you are, English students, Music students, Language students, Medics or Physicists there’ll be something for you to enjoy and engage in. Organising the festival is a committee from across the three colleges of Turl Street. With Ankita as president, her team includes Emily Oldham of Lincoln College as Secretary and Shannon Brittan of Exeter as Treasurer. Along with this does the festival have a large team of events, publicity and design and tech. Perhaps what is so impressive, is the fact this talented team were only aware at the end of Michaelmas that they would have to organise, arrange, and create the festival. Within such a short space of time have they managed to put together what looks to be one of the most exciting events of the year. They’ve injected modernity and energy to the annual arts festival with new themes, new dates, and new ideas. Arts Festivals are nothing new in Oxford- many colleges, Somerville, St Anne’s, and Brasenose, each host a annual arts weeks. Yet the TSAF is a collaborative effort between the three colleges in the centre of old Oxford and will be something bigger and more exciting than what you’ve seen before. It transforms the cobbled streets and quads of Turl Street into a hub of creative power. A medley of art, music, drama and poetry, the Turl Streets Arts Festival looks to be one of be most exciting events to happen in the creative world of Oxford. Make sure you don’t miss it.